Eons ago, people had all the time in the world to nurture the art of listening. Long before the printing press was invented, and later the worldwide web that transmuted into e-books and digital books, narratives were recited and literature was spoken. The Hamzanama, or the Dastan e Ameer Hamza, was one of the many such works of literature that told fantastic tales of the many ventures of Ameer Hamza. Ameer Hamza’s companion Amar Ayyaar (also called Umro Ayyaar) had a bag called a Zambeel that contained all that that is in the world but the Zambeel would never be filled. The magical Zambeel, hence, could produce objects that would be core subjects of many a dastan. But that was then and this is now. Princess Scherezade could no longer have bartered her life for tales she told as part of her Alif Laila repertoire, for no one has a thousand and one seconds to spare, let alone A Thousand and One Nights. Yet, there is a present day version of the Zambeel that has been successful in its attempts at reviving the tradition of dastangoi, or storytelling as we may call it today. Enter the Zambeel Dramatic Readings, and see a modern day semblance of this ancient art. For even if for a brief period of time, this will take you into a world where Urdu literature is read out to you the way it should be. Zambeel Dramatic Readings came into being in early 2011 when a group of three friends — Asma Mundrawala, Mahvash Faruqi and Saife Hasan — was requested by a friend to read out a story in a gathering. “We embellished it with music. The response was what made us initiate and realise Zambeel,” says Mundrawala, a visual artist and theatre practitioner who is one of the key people behind this initiative. Zambeel Dramatic Readings was founded with a view to present texts from Urdu literature in a dramatised form to a live audience, and has mainly targeted adult audiences, but has also ventured into readings for children during the last three years. “We aim to present texts rendered in their dramatised form, to create a dynamic collusion between literature and performance. Referencing traditions of storytelling and the contemporary form of the radio play, our works traverse time and geographical boundaries to interpret and enliven narratives through sound and recitation,” says Mundrawala. Mahvash Faruqi is an educator with a background in theatre, and Saife Hasan is a performing arts practitioner particularly known for his acting. What begun with writings from Ismat Chughtai’s rich repertoire, the group has since inception presented many projects comprising stories in both English and Urdu by authors that include Quratulain Hyder, Saadat Hasan Manto, Masood Mufti, Afsan Chowdhury, Raihana Hasan, Ashraf Suboohi, Asif Farrukhi, Munshi Premchand, Faiz Ahmed Faiz and Naiyer Masud. Of late, more contemporary writers’ works are also being included into the repertoire, like Asad Muhammad Khan, Ghulam Abbas and Zamiruddin Ahmed. Fahad Naveed, a visual artist and long form writer, is one of Zambeel’s young audience members. “I’ve been following Zambeel for a few years now and greatly admire their work. Their readings make Urdu literature approachable and exciting for varied audiences. I’m particularly drawn in by the group’s use of sound; often sitting on a table, they are able to transport the audience with just their dialogue delivery and a few sound effects and audio cues,” he says. Also reviving the tradition initiated by grandmothers of the region to read out stories to children, Zambeel now also caters to a younger audience, enthralling both parents and children. One such fan of these readings is Saima Harris, an optometrist and mother of a seven-year-old. Artist Rumana Husain, who is known for solo readings for children and production of quality Urdu literature for children, says it is rare nowadays to have literary readings in the country read in a dramatic fashion, and is all praise for the initiative. The team has recently initiated an audio platform of readings once a month on the YouTube channel, Zambeelnaama. Posted in Culture and Society, Of Books & Literature and tagged Asma Mundrawala, dastaan Ameer Hamza, dastangoi, literature, Mahvash Faruqi and Saife Hasan, Pakistan, Zambeel Dramatic Readings. Bookmark the permalink. 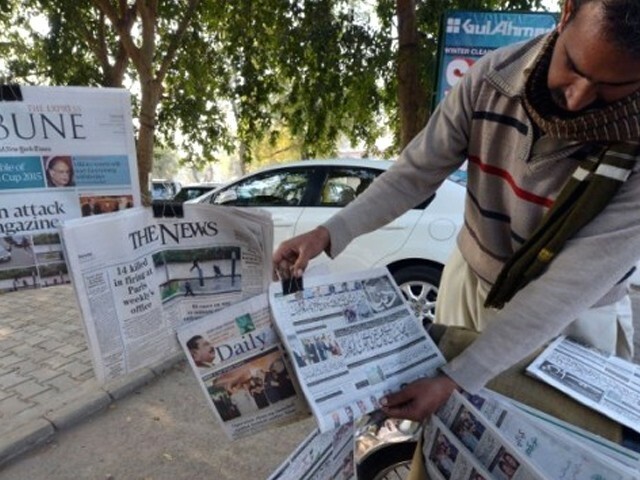 We’re celebrating the 250th Press Freedom Day but is the Pakistani media really free? You know, therefore you are. And we know because of the press. Be it print or broadcast, media is what keeps you updated. It provides us with information because it is our right to know, and it is the press’ right to relay that information. The press, or a more relevant term today might be the media (that includes products of both print as well as broadcast and digital journalism) relay that information to you. But, if you are a Pakistani and have never been a part of the media, never seen the workings of a newsroom and have never been a reporter, it is a given that you are someone who has hurled abuses, chanted frustrated expletives and blamed the media and press for everything that has gone wrong in the world. The Pakistani media is far from perfect. The headlines can be scandalous and out of context. The reporters and TV anchors cross lines. Media ethics are ripped apart every time a tragedy takes place, where cameras are thrust in the faces of victims and survivors. Information is relayed first and thought about later. While print media (newspapers), exercises much more care and caution compared to TV, the web wing of newspapers is another animal altogether. News has to be broken within minutes otherwise it becomes redundant and stale. “It’s already been covered” is the worst nightmare in the web room. To make their story novel and different, value additions are pushed through and the ‘treatment’ of the story is altered to get more hits. Journalists are paid a pittance, especially if they are in print media, and those that write in a local language are paid even less. The one thrill that keeps them going is the sheer joy of being able to tell a story or create awareness while taking the credit for it; their name or face appearing with the news story. And for this, they risk their lives. (Our media is enjoying its new found freedom). But Pakistan’s media has now crossed the milestone of being nascent. The initial euphoria of freedom after an era of being the proverbial “press in chains” has now begun to die down. Which means the media will not be able to get away with anything and everything. Also, mistakes made by the media, like everyone else, can become a social media trend within minutes. Whether the media person was right or wrong, how they should be dealt with is another debate. But if media persons ask politician’s scandalous questions, storm into assemblies, do moral policing of dating couples in parks, or show unreasonable tilts towards an ideology or person, they cannot go scot-free. Writers and reporters should not be allowed to base entire stories on hypothetical sources and should not be allowed to share data without citations. Today’s media is grilled and criticised. If nothing else, the social media trial will take them to task. The absence of a check and balance corrupts anyone in a position of power, and one of the most powerful positions to be in is as a media person. What we say, show or write reaches millions. We, the media, are answerable. Yet, as the world today celebrates the 250th Press Freedom Day, is Pakistani media really free? What we know as ‘policy matters’ and ‘security concerns’ often hold back the pen or the microphone of the reporter to relay information that must reach the public. Certain ideas are shot down by editors due to fear of backlash and ruffling too many feathers, and then we wonder why our best journalists end up writing for foreign publications and not local ones. Fears of consequences, tilts and allegiances of patrons, the editor’s discretionary powers to chop or discard a good pitch or story and the simple fear of becoming unpopular or redundant, often hold a journalist back from the noble task of telling the truth, and nothing but the truth. The reporters in a press conference can and should be trained to ask better phrased and more relevant questions, but do they have the right to put those questions to a Pervez Rasheed, an Imran Khan, a Prime Minister Nawaz Sharif or a General Raheel Sharif? The answer should be a resounding yes. In a world where surveillance of citizens is legally accepted, why should a media person’s right to ask questions be curtailed? While absolutism in freedom of speech can be harmful, strict censorships harm a society by not only restricting, but mutating the development of healthy collective thought processes. The annual report of press freedom by media watchdog Reporters Without Borders (RSF) stated that Pakistan has been ranked 159 out of 180 countries. Yet, these restrictions are not just limited to Pakistan as the world at large is failing on many counts when it comes to providing press the required freedom. In an era plagued with conflict, fear of life is what causes us, the media persons, to bite our tongues and throw away our pens. The need of the day is to educate our press and media persons regarding media ethics, but at the same time, their safety should be safeguarded while ensuring that they can speak up without fear of losing their audience, their jobs or their lives. Posted in Culture and Society, Pakistan and tagged journalism, Media, Pakistan, The express tribune, World Press freedom Day. Bookmark the permalink. Are today’s architects doing substantial experiments in building houses? Or are they not allowed to experiment by house owners who want showcases, not homes? A part of The News on Sunday’s special report – a tribute to Zaha Hadid. The houses look almost uniform in design in the upper tier areas of this city of 23 million. Tall walls veil the view of the facades of these houses that are for Karachi’s high life. A lot of gray is visible with people tilting towards less use of paints. The design lines are simpler, less complicated in Karachi compared to counterparts in Lahore and Islamabad. Architecture is definitely evolving in residential Karachi. But the design is controlled by the owner and not the architect. And the purpose of building these grand structures is less about building a home and more about what people will think, leaving Karachi’s architects disgruntled. Renowned architect Shahid Abdulla’s views are aligned with Husain’s. “We as a nation are dirty. We don’t know how to live well and we don’t build houses with practicality and maintenance in mind. We build houses as showcases. Sprawling lawns are made to impress people but no one sits in them anymore,” he says, explaining why architects are today preferring courtyards and paved areas, instead of lawns in a parched Karachi that receives very little rain. Luckily, Karachi’s residences are easier to maintain. “Architecture in Karachi basically consists of reinforced concrete. There is no rain in Karachi which makes the maintenance much easier,” says Habib Fida Ali, one of Pakistan’s most famous architects and the man who designed LUMS. He discusses architecture with zeal, with Zaha Hadid being mentioned as a great personality and Fida Ali’s friend. “It’s not that architects are not capable of better works but there is not enough opportunity to do better work when the owner dictates what we design. For architects like Abdulla, economy and nature play a very important part of the design. 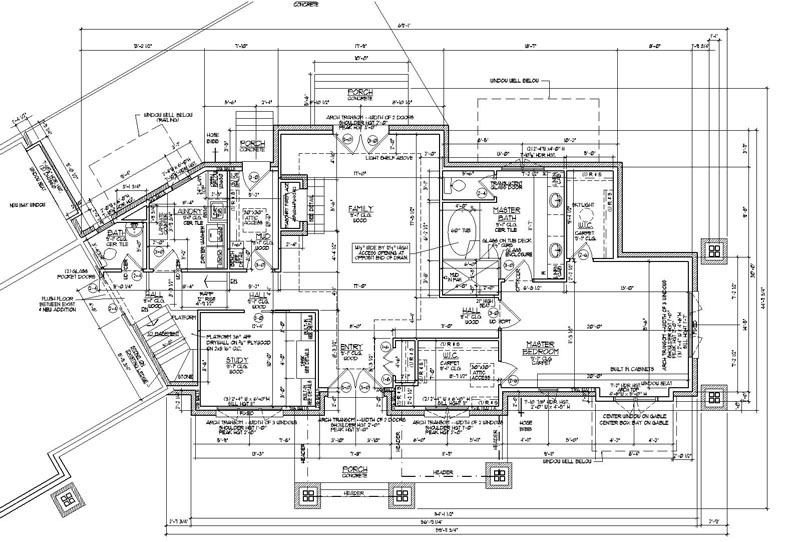 “My focus when designing is to make a house economical. When a proper architect is not used, the focus of owners is that the house should not appear a poor man’s house. It’s like giving a child makeup to beautify; overkill of materials makes the house less becoming,” he says. For the more aware house owners, like Humera Kamran, the element of nature is supremely important, as is practicality. Posted in Culture and Society and tagged architecture, Habib Fida Ali, Pakistan, Shahid Abdulla, Zaha Hadid. Bookmark the permalink. I am a heavily-friended person. I have scores of friends, but they are all in different categories. There are those in my extended circle of relatives or colleagues who I bump into on Facebook or at Sunday bazaar or the doctor’s office or a wedding, observe niceties and do as much gup shup as time allows.There are those whom I meet once in months, go out for coffee with, touch base with, laugh till giddy, share many things but not everything, have fun and then disappear again for months. Then there are those whom I can’t do without. I don’t mind if they see me on a bad hair day in crumpled clothes. It doesn’t bother me if they see my kitchen trash bin full of garbage. They’ll stick by me even if I am cranky and unreasonable. I will call them on unglamourous occasions like when I have to go the doc to get my cast removed after a fracture, and will tell them to make their own tea when they come to my house. I can tell them almost everything. Surprisingly, people in all of three categories, to me, are friends. Does knowing the difference between which friend falls into which category make a difference? Brian Fons, President, Corporate Creations Chicago LLC, says in ‘The Three Circles of Networking’, “Effective networking requires an awareness of how you fit into a conversation, situation, or relationship. For example, when speaking to someone you just met, it may not seem appropriate to ask overly personal questions. Conversely, if you see someone on a regular basis and know them well, you can skip many of the pleasantries that you normally exchange with someone new.” Fons finds that any network of people tends to form three circles. The outermost circle consists of the people you barely know or are just meeting for the first time. The middle circle of people consists of the people you have seen several times or on a regular basis. The inner circle of your network consists of people who actively try to help you. They can be close friends, family, or business acquaintances who have made an effort to get to know you better. “While you will usually find it easier and more enjoyable to spend time with people in the inner circle,” says Fons, “it is critical that you go out and meet people to keep the outer circle full.” This is where social networking comes in, which is why some of us can have hundreds of people in our Facebook list of “friends”, and at times we end up “de-friending” them because they are not actually in our close inner circle. Dr. Sarwat Imran, a dentist, feels that “the difficulty lies in identifying who goes where.” This is why in today’s era of specialisation, we have different friends for different occasions. I might choose a different friend when I am in the mood to reminisce about school or college days and laugh myself silly, but the same friend cannot necessarily be the one who will counsel me regarding a problem I have with my maid. Not every friend will be the one I can confide in about my inner fears, regrets or desires. If I want to cry on someone’s shoulder, I may not choose my ‘bestie’ because may be she’ll start crying with me instead of diverting my attention to me feel better. When I know I have made a faux pas, I know which friend will talk sense into me. For advice regarding handling work politics, my marriage or my teenage daughter….well, I think mostly I have a separate friend for each occasion. Yes, there are those rare few in my list who are for every occasion. Those are the ones that are so hard to find. Those are the ones you should hang on to. Posted in Culture and Society. Bookmark the permalink.